Real estate purchase is easily one of the biggest financial commitments we will undertake in our lifetime. We spend the next 20-30 years contributing a portion of our salary to the repayment of the amount. The good news is that you have the choice of getting a HDB or bank home loan in Singapore when you purchase a HDB flat. There is no hard and fast rule that places one above the other but you have to weigh the options and make the choice wisely depending on your financial situation. Car loans or personal loans charge interest using the flat add-on method. This means loan amount x interest rate over total number of months for the loan tenure = monthly installment. On the other hand, home loan monthly repayments are based on a loan amount amortized over the loan tenure, and interest is computed based on diminishing balance each month. Hence, the thought process is usually more detailed. The type, length and interest rate you end up with for your home loancan make or break your finance. Read this guide in its entirety and you will not go wrong! Determining the right home loan type for you can be a tricky one. It boils down to thinking about your priorities and what is more important to you. How do you feel about using cash to pay off your monthly mortgage payment? Do you have sufficient cash to make a 5% down payment, or would you rather use your CPF for a 10% down payment instead? Perhaps you are a couple looking to purchase your first marital home soon, and you’re looking to pay off your property loan as soon as possible. Or perhaps you are expecting a child soon, and by the looks of it, you want to spend as little cash on the house as possible, as you are expecting your household expenses to increase in the months to come. These considerations may be tedious to go through, but it is necessary to do so, to ensure that you get the best out of your housing loan. One that fits your priorities and your needs. Most Singaporeans who own or who are looking to purchase a HDB flat would usually choose to take up a loan from HDB as their first option. Why is that so? Taking up a HDB loan allows you to finance up to 90% of the purchase price or current market value of the flat, whichever is lower. While many people also think that the HDB loan interest rate is fixed at 2.6% per annum, that is actually not true. The HDB loan interest is pegged to the prevailing CPF ordinary account(OA) interest rate, plus a margin of 0.1%. So this means that it is still possible for HDB to change their interest rate based on the market situation.For example, in 1st half of year 1999, CPF OA interest rate went up to 4.41%. Consequently, the HDB loan interest rate was almost twice as much as it is now. It is important to understand the risks involved when going into any type of loan and be prepared for the potential fluctuations, both mentally and financially. The monthly instalment of the loan is due on the 1st day of each month until the loan is fully redeemed. This applies to payment methods not made via CPF or GIRO, such as via cash, NETS, cheque, eNETS Debit, ATM/phone/internet banking, or through any AXS payment channel. Arrears payment can be paid through CPF, cash, cheque, or through electronic payment methods. For every monthly instalment not paid within the month, a late payment charge will be imposed at the end of the month. Capital repayments can be made either in parts or in full and applicants are to give HDB 1 month’s advance notice in writing. Partial capital repayments can either be made to shorten the loan tenure with no changes made to the monthly instalment amount, or with revised monthly instalments after partial capital repayment has been made. For partial capital repayment, the minimum amount for each repayment is $500 if the loan commencement date was before 1 April 2012, or $5,000 with increments in multiples of $1,000 if loan commencement date was on or after 1 April 2012. For a full capital repayment, payment can be made via cash, cheque, GIRO and CPF. There is also an additional conveyance fee that will be imposed on the total discharge of mortgage (TDM), which can be paid by cash, cheque, GIRO or CPF. HDB homeowners are allowed to refinance their housing loan from a HDB loan to a bank loan. However, once this has been done, the process cannot be reversed (i.e., you cannot refinance from a bank loan back to a HDB loan). A Singaporean permanent resident is required to take a bank loan when purchasing a property. In the event that he/she subsequently obtains Singapore Citizenship, they willnot be allowed to refinance to a HDB housing loan. Total household income must not be more than $12,000 for families or $18,000 for extended families.For singles under the Single Singapore Citizen (SSC) scheme, the average gross monthly income cannot be more than $6,000 for those buying a 5-room (or smaller) resale flat or a 2-room new flat in a non-mature estate. Applicant(s) must not have taken at least 2 HDB loans. If he/she has taken 1 HDB loan, the last property owned must not be a private residential property. Have not disposed of any private residential properties within 30 months before the loan application. Private residential properties include, but are not limited to: HUDC flats, properties obtained by gifts, inherited as a beneficiary, private properties or properties owned or obtained through nominees. The applicant must not own more than 1 market/hawker stall or commercial or industrial property. If 1 of the aforementioned properties are owned, the applicant must be operating the business without additional sources of income. The remaining lease of the property must not be less than 60 years. Otherwise, the loan application may be rejected or the loan amount may be reduced. Upon Temporary Occupation Permit (TOP) and during the collection of keys to your new home, HDB will wipe out your CPF OA balance to reduce the loan quantum required for you to service. A hosing bank loan is more straightforward and less restrictive. It gives you more flexibility when applying for a loan, as no income ceiling applies. There are two types of loan packages offered by banks: floating and fixed rate packages. Currently, bank rates are offered at between 1% -1.38% (for floating rates packages) and between 1.68%-2% (for fixed rates packages). Fixed rates means your interest rate will not change for a period of 1 to 5 years and usually a penalty will be imposed for early redemption during the same period at which the rates are fixed. SIBOR stands for the Singapore interbank offered rate. It is the most common rate used for home loans, based on the interest rates used by banks in Singapore and the rate they charge one another when they borrow among themselves. The Swap Offer Rate (SOR) is more volatile than SIBOR, because it involves foreign exchange rates between the US Dollar and Singapore Dollar. Its volatility means that you can either end up saving more or paying more, depending on your luck. Board rates are determined internally by each bank. While it is usually lower at onset, the rates can change unpredictably. These are fixed deposit rates, with strategically chosen references. Instead of the 6-12 months FD rates that most are more familiar with, the more obscure 18, 36, and 48-month rates are used. While most people believe these are more stable and transparent, they are ultimately still subject to the banks’ discretion. Different banks have also came out with their versions of deposit pegged mortgage packages. Most people favour fixed rates over floating rates as it is more stable and gives you a sense of security. However, its stability comes in exchange at a higher loan interest rate, so risk-takers would usually be the ones who opt for floating rates. 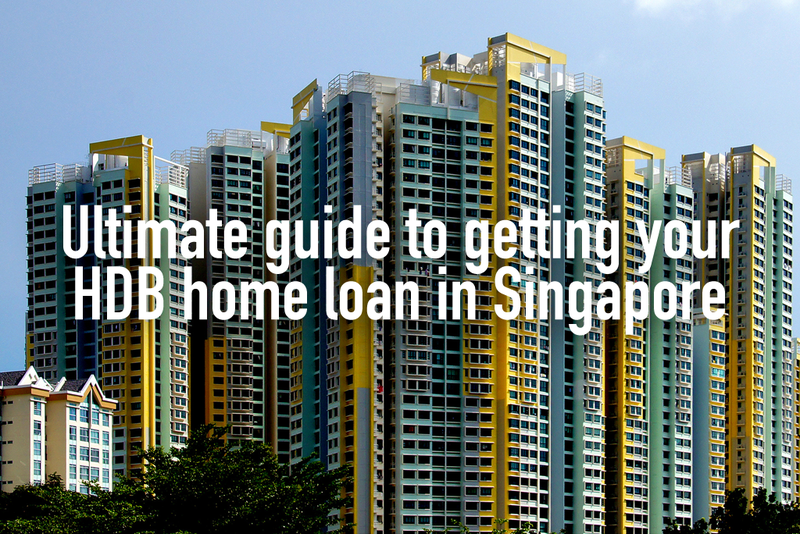 Check out our list of home loan packages in Singapore offered by banks. You can sort it in the order of the lowest to the highest interest rate. In addition, we also provide our recommendations there! There is also the question of whether to opt for a shorter or longer loan tenor. In general, a longer loan tenor helps in hedging risks and securing better financing options, thus making it a more attractive choice. For further explanation, check out our advice on longer loan tenor. Currently, the HDB lending rate is applied at around 2.6%, pegged to the CPF ordinary account (OA) interest rate with a 0.1% margin. Conversely, bank lending rates are applied between 1% – 1.68%. Taking up a HDB loan offers a larger financing quantum of up to 90%, as compared to taking up a bank loan. Bank loans are usually only able to finance up to 80% of the purchase price, or current market value of the property, whichever is lower. When taking up a HDB loan, applicants/homeowners are not subjected to early repayment penalties. On the other hand, if applicants were to redeem their bank loans early, they would be subjected to early repayment penalties between 1.5% – 1.75%. HDB charges any late loan payment fees at an interest rate of 7.5% per annum. On the other hand, banks impose a late payment fee of about 24% per annum, subject to a minimum amount of $50. HDB loans do not require any form of cash down payment; the 10% down payment can be paid with your CPF. When taking up a bank loan, there is a minimum of 5% cash down payment required. For further elaboration on each of the above items and more, check out our guide on deciphering home loan fine print to make sure you know what you are getting into. Apart from these factors, you also have to consider your loan eligibility based on the total gross monthly income spent on debt repayments. That’s where you might have heard of the terms Total Debt Servicing Ratio (TDSR) and Mortgage Servicing Ratio (MSR), where a borrower can only spend up to 60% of his/her gross monthly income on total debt repayments, and up to 30% of his/her gross monthly income on mortgage repayments respectively. Ultimately, taking up a home loan package is certainly not a one-size-fits-all approach. There is no “perfect loan package” that will be able to suit everyone, as we all have different priorities when managing our finances. Between choosing a HDB or a bank loan, each loan type hasits pros and cons when comparing various factors such as the loan financing quantum, loan tenure, interest rate, cash down payment, etc. If you are on a budget constraint and do not want to blow too much cash on the down payment, then the only option would be to opt for the HDB housing loan. On the other hand, if you consider yourself more cost sensitive and want to have control over the total amount of interest you will be paying, then take a bank loan into consideration. But who’s to say you can’t do both? Sure, you definitely can. You can first take up a HDB housing loan and make some of your loan repayments with your CPF. Once you feel like you are able to comfortably service a monthly mortgage payment with cash, then you can make the switch to a bank loan. The only drawback though, is that once you have converted your housing loan from a HDB loan to a bank loan, the process is irreversible and you will not be able to go back to HDB to take a loan. Before joining Redbrick, Lucas was working in one of the largest property development companies in Singapore, focusing on industrial and landed properties. Interacting with the SME towkays and seasoned property investors intrigued him and made him want to learn more about the financial aspects of real estate. He then progressed on as a mortgage specialist in a large offshore bank in Singapore, and subsequently brought along the knowledge and experience he’s gained to Redbrick.